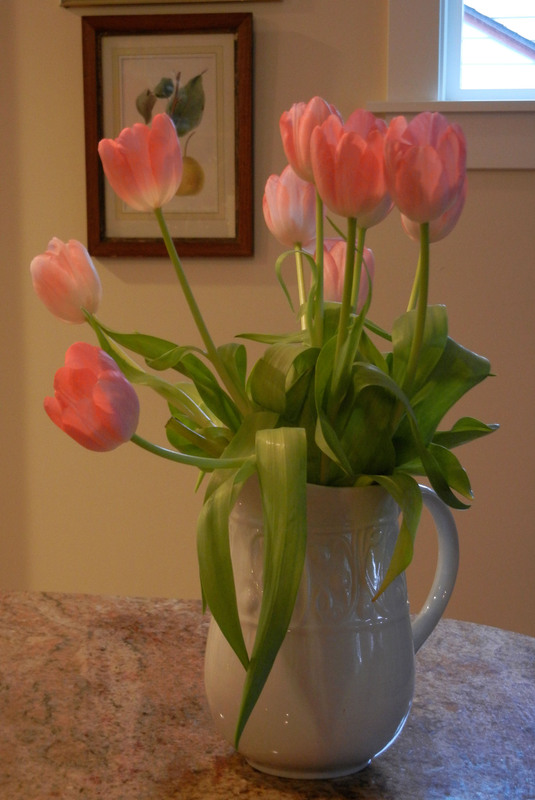 That’s what tulips are…a harbinger of what is to come! Many thanks to my darling clients, Karen and Dave for this BEAUTIFUL bouquet. Confession: my favorite color is pink…and I am so enjoying these…thank you Karen and Dave! It was wonderful having you for dinner last night. I am excited to spend my birthday with you both, doing what I love most – performing a wedding!